February | 2010 | what's the pH? How many times has this happened to you? You walk into CVS to buy something simple like cotton balls or tampons and you end up in a drug store wanderlust, gleefully filling your basket with things that you absolutely can NOT live without (Pedi Egg, anyone?). Then you get to the counter only to find that your $3 trip to the pharmacy has turned into an $80 free for all. 1.) 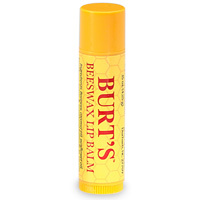 Burt’s Bees Original Lip Balm ($2.99)- I can’t even remember what my life was like before I started using this product. This is simply the best lip balm on the planet. Don’t mess around with the honey flavor or the red topped one, the original is the one and only. 2.) Johnson’s Baby Oil ($5.25)- The single best eye makeup remover there is; a few drops on a cotton ball will dissolve even the most stubborn waterproof mascara and keep your eye area incredibly moisturized. 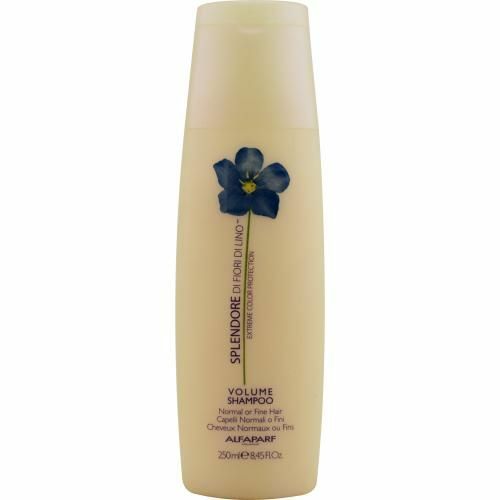 Plus, nothing gets your skin softer than baby oil applied to wet skin after a shower and patted dry with a towel. 3.) 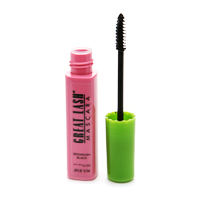 Maybelline Great Lash Mascara ($5)– I’ve tried every mascara on the market from $2 Wet-N-Wild to $50 Lancôme and the original pink and green Maybelline remains my absolute favorite. 4.) 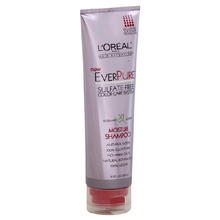 St Ives Apricot Scrub ($4.25)- I like the Invigorating; husband likes the one for oily skin. At four bucks a tube, we can have one of each in the shower. 5.) 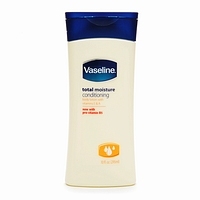 Vaseline Intensive Care Total Moisture Lotion ($4.50)- My hands are in color and water all day, every day, and this is my secret weapon to keeping them from looking like ugly old paws. 6.) Oil of Olay Beauty Fluid ($10.50)- Oil of Olay was good enough for my Nana (who had gorgeous skin at 90) and it’s good enough for me. I like the one for sensitive skin with extra SPF. 7.) 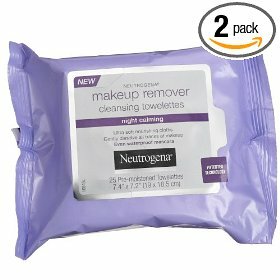 Neutrogena Night Calming Cleansing Cloths (say that 5x fast, $7.99)- Some nights I’m so exhausted I literally fall right into bed. This is why I keep a package of these makeup removers in my nightstand. They’re super gentle, even for contact lens wearers, and take makeup off in one fell swoop, no rinsing required. 8.) Epsom Salt ($2)– It’s very rare that I have time to take lengthy, luxurious baths, but I still like to keep a box of Epsom salt in the bathroom to soothe muscle aches and pains. A10-minute foot soak with Epsom Salt is an absolute necessity for any runner or anyone on their feet all day. 9.) 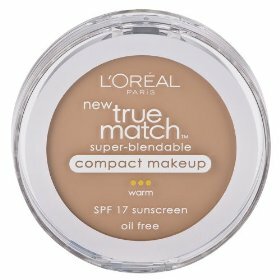 L’Oreal True Match Super-Blendable Compact Makeup ($9)– I hate the feel of a heavy foundation on my face, but in the winter I need a little more coverage than just powder. This product is incredibly light, lasts all day and comes in a huge range of colors for all skin types and ethnicities (score!). 10.) Kushyfoot Knee Highs ($5/pair)- Part trouser sock, part reflexology massage, these ribbed bottom beauties are light years ahead of any other thin sock on the market. After wearing the Kushyfoots for one day, I went home and immediately threw out all my old Kathy Lee Gifford for Kohl’s trouser socks. Tip: To avoid a drug store hangover, don’t even think of picking up a basket. The “All I can carry in my hands” rule generally keeps me out of serious trouble.